In addition to Citroën Racing’s official participation in WRC, where it has won five FIA World Championship Constructors’ titles, Citroën Racing has always offered products designed for customers. The champion team has now furthered this rich tradition with Citroën DS3 R3, a model set to make its rallying debut at the end of 2010. Versatile, high performance and yet affordably-priced, DS3 R3 is set to become the new leader in its category. Based on the FIA’s new Group R3T regulations, DS3 R3 features the same structural design and appearance as the production model, with the production steel body shell reinforced by a welded, multi-point roll cage, improving the resilience of the chassis and safety for the driver pairing. Under the bonnet lies a four-cylinder 1.6-litre THP (high pressure turbo) engine, which has been developed using the PSA production engine. Specific racing parts (air box, camshaft, pistons, connecting rods, exhaust and turbo systems, electronic unit, etc.) have been deployed to boost the car’s power to 210bhp. In addition to its overall power, special attention has been given to increasing the engine’s torque to improve traction, one of the key factors in delivering efficient driving performance. With 350Nm, the DS3 R3 engine offers unrivalled flexibility on the road. DS3 R3 has benefitted from the extensive expertise acquired by Citroën Racing through its involvement in the World Rally Championship. As with the C4 WRC, the six-speed gearbox features semi-automatic sequential control, enabling gear changes to be made twice as quickly as with a manual gearbox, whilst also improving the reliability of the car’s powertrain. The suspension system uses the very latest technologies and has been designed for all road surfaces, from rough gravel to smooth tarmac. A wide variety of setup options are available, allowing DS3 R3 to be adapted to all driving styles. Citroën Racing recommends the use of BFGoodrich tyres. 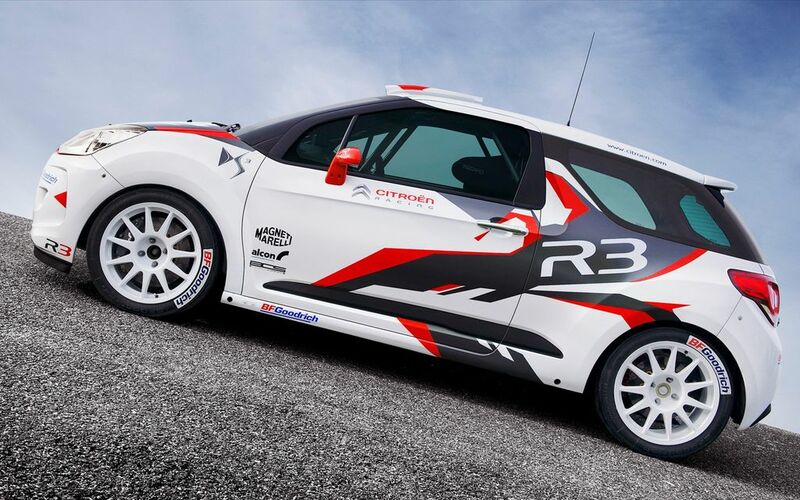 Built using production-derived components and specific racing parts, DS3 R3 is available at an affordable price and will be marketed by Citroën Racing in kit and ready-to-race versions. 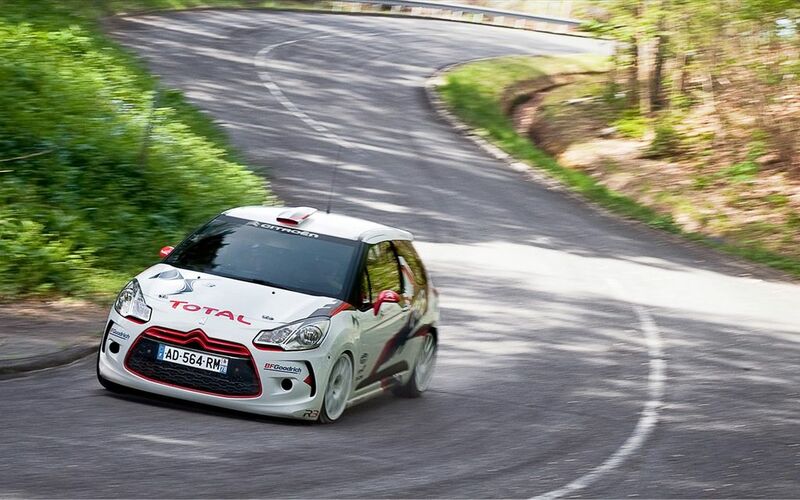 Citroën Racing has deployed its extensive expertise in passive safety and chassis rigidity on DS3 R3. The standard monocoque chassis is lighter because it does not have the supports used on the production model. It has been re-welded and fitted with a multi-point roll cage made of over 45 metres of steel tubing. The industrially designed roll cage is pre-assembled outside the car, which means the welding is of a higher quality. Various details of the chassis design, such as the harness cross-member and the door crossbars, help to improve safety for the driver pairing. The monocoque chassis is delivered with all the brackets and mountings required to assemble the car, which reduces the construction time and cost. In order to improve weight distribution, the battery and automatic fire extinguisher are positioned behind the seats. A steel skidplate protects the underside of the engine and also helps to lower the car’s centre of gravity. The flexible, FIA-homologated fuel tank remains in its original position. - The aluminium struts are lubricated in an oil bath, which improves the consistency and lifespan of the suspension. - The lower, frontally-offset anchor point helps increase the travel and the guiding length of the shock absorber. In order to adapt its road handling to all driving styles, DS3 R3 offers a variety of setup options: three track shock absorbers (low and high-speed compression and rebound, adjustable hydraulic bump stop), camber and toe (front and rear), track width and castor (front). At the rear, the production cross-member has been reinforced and altered to make it easier to fit the anti-roll bar. The removable rear wheel hubs allow the camber and toe settings to be adjusted independently. The braking system features a ‘pedal box’ assembly with two master cylinders. The discs are held in place by four-calliper pistons at the front and two-calliper pistons at the rear. The handbrake is hydraulic. For the first time ever, Citroën Racing has produced a customer-racing product fitted with a turbocharged engine. The experience acquired by the brand in WRC for almost ten years has been put to good use in its design. The 1.6-litre THP (high pressure turbo) engine is very closely related to the production model used throughout the PSA Group. Fitted with a regulation-compliant 29mm turbo flange, it develops 210bhp of power and generates a torque of 350Nm (with commercially available fuel). This second value improves traction and delivers excellent versatility at all engine speeds. In accordance with the regulations, many parts have been taken or derived from the production model. For example, the intake and exhaust manifolds, turbocharger, injectors and injection pumps are identical to those used on production models. The air filter, camshaft, pistons, connecting rods and engine flywheel are, however, specific racing parts. To avoid oil surges during long corners and to increase ground clearance, the oil sump has been altered and fitted with a composite partition. The exhaust and turbocharger system is also specific; the catalytic converter is similar to the one used on C4 WRC. DS3 R3’s engine ECU also includes a data acquisition system that is able to check a large number of parameters. One of the main innovations on DS3 R3 concerns its gearbox. For the first time, a customer-racing product has been fitted with a semi-automatic gearbox, which reduces the time spent changing gears and increases reliability. The electronic management system only authorises gear changes when the engine parameters allow it. Once again, the expertise developed by Citroën Racing in WRC enabled this cutting-edge technology to be adapted to DS3 R3. Inside the cabin, the composite fibre steering wheel-mounted paddles are just as ergonomic as on C4 WRC: the driver flicks the paddle backwards to move up the gears and flicks it forwards to move down the gears. The clutch pedal is still present, but is only used to drive off. During subsequent gear changes, the clutch is automatically controlled. Under the bonnet, the specific elements of the semi-automatic control (solenoid valves, actuators and pressure unit) have all been taken from the production model and adapted to the six-speed gearbox. The housing for the twin-disc clutch has been cast in aluminium, whilst the gearing casing has been cut from the block. 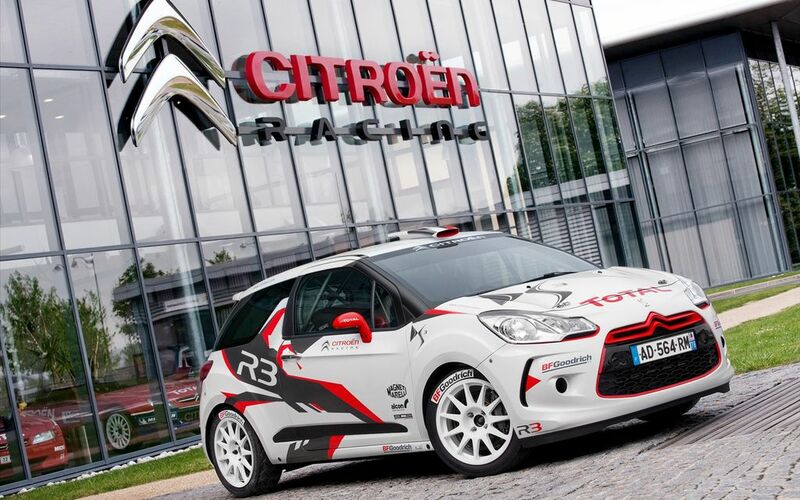 After twelve months spent in Citroën Racing’s design office, DS3 R3 made its first outing at the end of August 2009. To check the sturdiness of the various components, initial testing was carried out on ‘rough gravel’ test tracks, typical of the road surfaces seen in Mediterranean rallies. Development testing continued on tarmac, the ideal surface to test performance, and on flowing gravel roads. In total, DS3 R3 covered over 10,000km in development testing, split evenly among the different types of road surfaces. Several drivers took part in the tests. They all had varying levels of experience, different preferences and driving styles, which meant that the engineers could accumulate data that will benefit future DS3 R3 owners. All of the drivers agreed that the car was easy to drive and highlighted three strengths: the torque of the 1.6-litre engine, the semi-automatic gearbox and the suspension. DS3 R3 offers impressive performance levels and looks set to become the new leader in its category in rallying.